Respawn LAN v6 is the latest installment of quality LAN gaming from Respawn. With a maximum player count of 400, high speed network and a large prize pool, we continue our tradition in running the best LAN gaming events in Melbourne. Locateted in Latrobe University's Union Hall, the event will have a capacity of approximately five hundred players, offering reliable three-phase power and air-conditioning for superior comfort and gaming experience. This venue also has shower facitilies. Union Hall has also been home to numerous Shafted events in the past. Kingsbury Drive, Bundoora, Victoria, Australia. 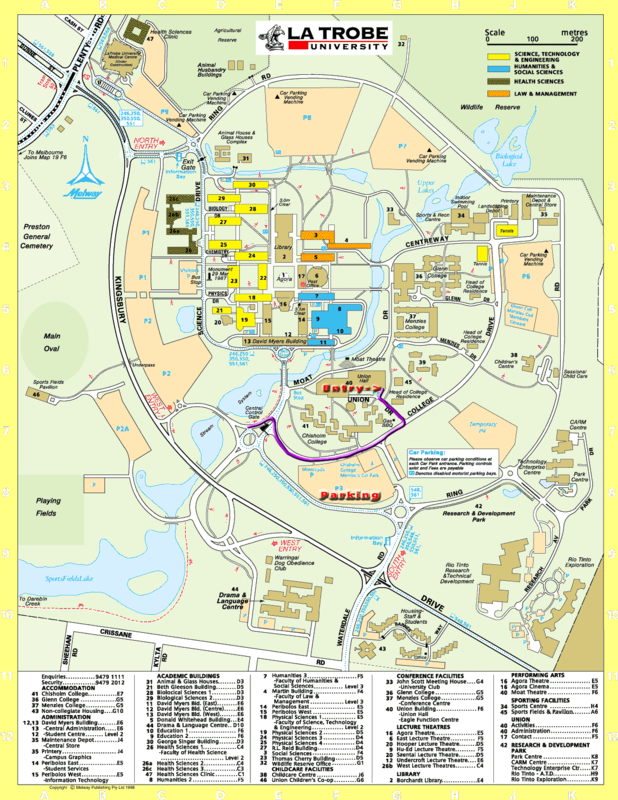 You can use a map (thanks to Latrobe University, modifications by Shafted LAN) which we strongly advise you to PRINT OUT AND TAKE WITH YOU. A professionally engineered rock-solid Cisco powered gigabit network with a multi-gigabit backbone will ensure lag-free game-play without the burden of overloading switch uplinks. The network will be configured using DHCP so set your network card to obtain an address automatically to connect to the network. This is the default configuration of Windows operating systems. PLEASE DISABLE INTERNET CONNECTION SHARING if you are using it as it will interfere with our network. Dedicated game servers will be provided for many popular games, freeing your PC to give you the best frame-rate possible. A list of servers will be published closer to the event. This will include Quake 3 (DM and Instagib), Call of Duty 4, Team Fortress 2, Quake 4, UT2004, Battlefield 2, Battlefield 1942, Call of Duty 2 among many others. This will include our Battlefield 2 64 player server which will host a large organised game. Warcraft 3 1v1 - $150 first prize, $50 second. Trophies will be awarded to winners of some of these competitions. We will be running BBQs throughout the event for our hungry lanners free of charge. In addition, we will also be organising a large pizza run. McDonalds Kingsbury is located a 15-20 minute walk from the venue. Presentation of your Respawn LAN v4 tag will entitle you to a 10% discount for the duration of the event. We will also be awarding McDonalds food vouchers as prizes throughout the day for some of the AFK and other competitions. Feel like a fresh start to Sunday morning? We'll be cooking you BREAKFAST before competitions resume. Yum! We will also be selling soft-drink at the event for $1 a can and bottles of water and energy drinks for a little more. Next Byte will be attending Repsawn LAN v6, offering an array of motherboards, processors, RAM, hard drives, power supplies and other odds and ends for anyone after that last-minute upgrade. We strongly suggest you contact the store manager of the Bundoora (Latrobe Uni) store via their website if you have any special requests. Registration for this event is MANDATORY. Registration for our events is a three step process: Firstly, you need to register on our new custom registration syste,. Secondly, two weeks prior to the event, confirmations will open. This is for people who have already registered as well as people who register within two weeks of the event; you must confirm your registration. Thirdly, you must check-in at our event upon arrival - note that those who have not registered and confirmed may not be permitted to attend the event. If you can't register, send us an e-mail or PM via this website. DFI, suppliers of the three DFI motherboards. Further information about our sponsors can be found on our Sponsors page.